one-size-fits-all, DCDR’s skilled resources understand the right use cases and associated business values to deploy the right IT Infra. "DCDR follows ITIL method of ITSM to provide uninterrupted services to all their clients with skilled personnel across all technologies"
Storage, Network and VM. As these are less expensive in terms of CAPEX, real estate, management, etc.,a good number of customers have grown fond of DCDR’s approach and are looking at migrating to such latest and emerging technologies. DCDR has an edge over similar SIs, as the company approaches with a complete package including consulting, designing, deploying and managing such sophisticated state of the art technologies. The need for dependable and readily available IT services is growing at an exponential rate as more and more businesses rely on technology to operate. The main aim of modern ITSM software (IT Service Management) is to adopt service provider solutions and provide high-quality IT services. However, the dilemma is beyond just quality. The CEO, Balakrishnan Pasupathy explains that the most important aspect is to see how to maintain and manage the IT Infra towards its complete life cycle. 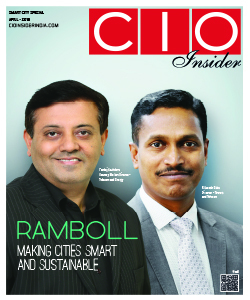 It is not just providing the right solution, but the crux of the matter is how well we add value to the CIOs by maintaining and managing these deployments without any bottlenecks during the entire life cycle of the invested infra. At the same time delivering all that promised also matters. Accordingly, DCDR follows ITIL method of ITSM to provide uninterrupted services to all their clients with skilled personnel across all technologies. Treading towards achieving technical and commercial excellence, DCDR looks forward to further amplify their resonance with their clients while continuing to invest on NOC, Skilled Resources, OEM Certifications and more.